Our cable knit beanie hat is knit with our signature alpaca and bamboo in a distinctive marl with a subtle silve thread to create a frosted appearance. The alpaca fur pom pom is secured with a press stud and therefore detachable. Detach fur pom before washing - to restore Alpaca Fur Accessories simply brush through with dry shampoo. For knitwear cool hand wash only, Leave to dry flat. 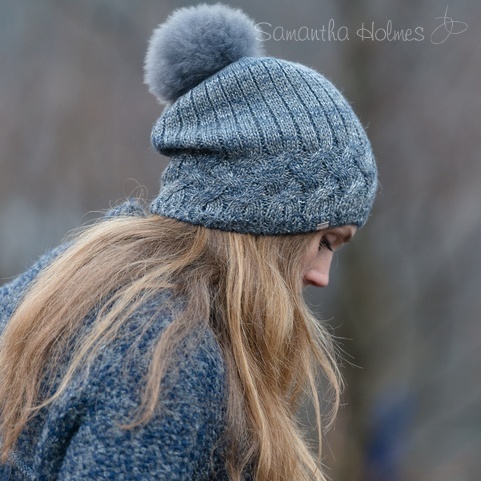 Made from Samantha Holmes signature yarn blend of 67% Alpaca, 23% Bamboo and 10% Metalised fibre.